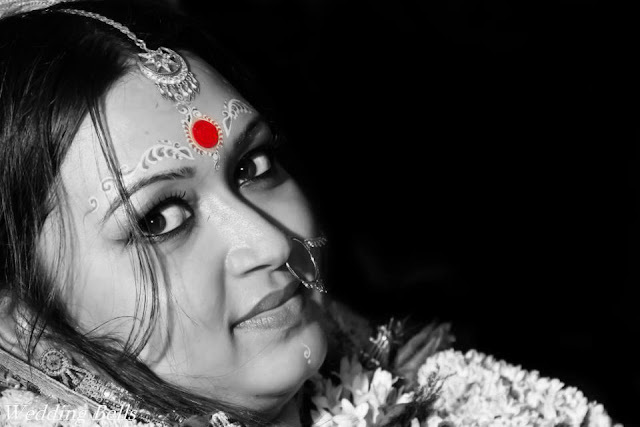 Sindoor is the red/orange color powder applied to the parting of the hair symbolizing that a woman is married. Associated with the Goddess Parvati, Lord Shiva’s Consort, the Sindoor is widely used in Hindu Religious Practices. Applied for the first time by the Groom and thereafter the sindoor is used by the Married Woman every single day. The Sindoor is widely used for Worship of several Gods & Godesses in the Hindu Culture. Traditionally made from Mercury, Lime and Turmeric. Of late, plenty of chemical based ones are available. Where would you find them? Usually available in Novelty Shops or Fancy Stores. References to the Sindoor have been found in the excavation of the Harappa Culture. They’ve been found even in the Hindu Scriptures. It is believed that if a Married Woman adorns the Sindoor, Goddess Parvati would protect her husband from any calamity. Aside from the religious importance, it is said to have health benefits. The mercury in it helps keep the bride calm and cool. In the Assamese Community, on the day prior to the Wedding, the Groom’s Mother fills the Parting of the Bride with Sindoor. Likewise, in the Sindhi Community, on the day of the Betrothal, it is Groom’s Sister who would apply it to the Bride’s Mang. This article is brought to you by Mukta Event Managers, the best wedding planners in Hyderabad. We specialize in birthdays, candid photography. We are the best event management company in Hyderabad with utmost quality and care to the customer. Often called as the best Event Managers in Hyderabad, we will make your marriage a memorable affair.